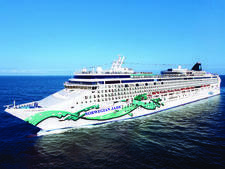 Norwegian Cruise Line long has been a pioneer in creating a contemporary cruising experience, most notably with its Freestyle philosophy, which deconstructs the traditional style of cruising (set dining times, fewer dining options, set schedules and relatively limited entertainment options). 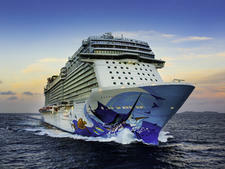 Instead, Breakaway offers resort-like, rather than ship-like, entertainment and dining. 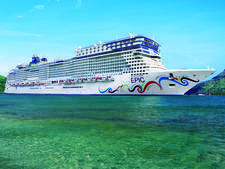 While other cruise lines have been catching on to this style, Norwegian Breakaway -- the largest ship in Norwegian's fleet, along with nearly identical sister Norwegian Getaway -- outpaces its competitors with sheer number of restaurants, shows and entertainment venues. 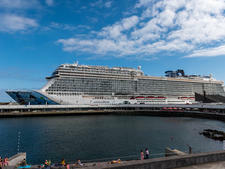 Our experience onboard a seven-night cruise felt so much like a jam-packed stay at a really good Las Vegas resort that we only remembered we were on a ship when looking out to sea. This is a good thing. Our time on Breakaway was a fantastic experience with so much to do that the only downside was we simply didn't have time to try everything. 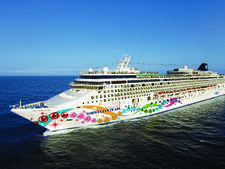 That said, Norwegian Breakaway is not for everyone, especially those on either extreme of the traditional cruising spectrum. 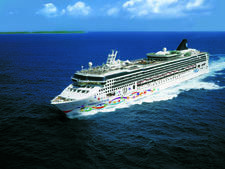 Norwegian claims Freestyle means "what you want when you want it," an appealing concept for those who wish to be spontaneous and in control of their vacation experience. 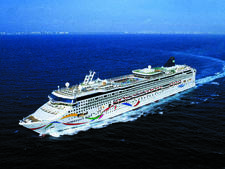 However, to make the most of your time onboard, you really must plan ahead and make reservations before your trip (or early in the cruise), especially when it comes to dining in specialty restaurants or booking spa treatments. While you can take your chances and walk in, you need to give up some flexibility so as not to miss out. 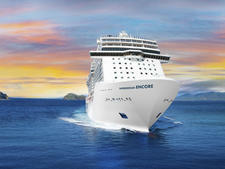 On the flip side, Breakaway is also not a ship for those who prefer cruise traditions. The only old-school elements are singles gatherings, a small library (best to bring your own books) and mainstream ports. There's little true enrichment, and it can be hard to mingle with other passengers. 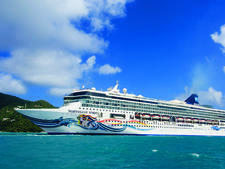 Anyone who cruises Breakaway should know the cruise fare is a starter price. While many restaurants and activities are included in the cruise fare, it's really the extras that create a special experience. You have the choice to spend extra on exclusive spaces such as the Vibe Beach Club and the spa's thermal suite, on a handful of entertainment offerings or on specialty restaurants. 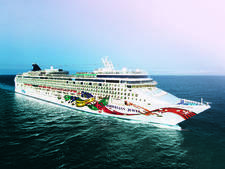 For a more traditional cruise traveler, that approach can seem like nickel and diming, but for those accustomed to resort stays, it's quite similar. 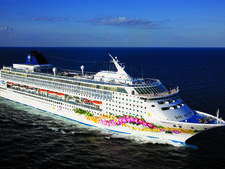 The beauty of Breakaway is you can opt not to pay extra and still enjoy great outdoor spaces like Spice H2O and The Waterfront, all of the ship's marquee entertainment, and dining at the lovely, casual Uptown Grill buffet and O'Sheehans pub, not to mention delicious menus at Taste and Savor, two sit-down restaurants. 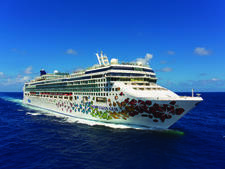 No matter your cruising style, Breakaway offers a terrific experience. 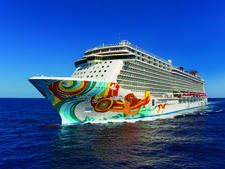 The New York-based Norwegian Breakaway attracts passengers from the surrounding metro area. 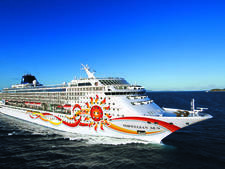 During school holidays, the ship, with excellent kids' facilities and one of cruising's best set of options for teens, is heavily family-oriented. At all times, it is appealing to solo travelers and couples on a romantic holiday. 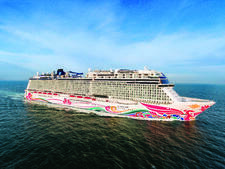 Cruise Critic’s professional photographers and our extraordinary community members have taken 3,397 pictures of Norwegian Breakaway. When you visit our photo galleries, you can be assured that what you see is what you get. 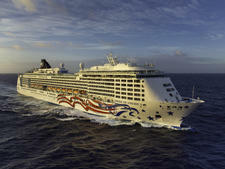 Casual dress is the norm for Breakaway, as that's what Norwegian's Freestyle Cruising is all about. Though passengers are encouraged to "dress up" one night (e.g. suits for men and anything from cocktail dresses to gowns for women) for pictures, maybe 25 percent do. Khakis, linen pants and collared or cabana shirts are common for men at night, while women tend to wear sundresses or skirts or nice pants with blouses most evenings. Shorts also are common throughout the day and sometimes into the evening, depending on the dining venue. However, restaurants such as the Manhattan Room, Cagney's and Le Bistro require shoes, shirt and slacks (shorts don't count).